No Sleep New York: Who are you and what do you do? De La Becca: I’m a passionate designer with a broad range of skills and experience. A huge part of who I am is my work, because I put so much of myself into it. I won’t let anything out the door without my fingerprints on it unless it meets my standards – which are high! My general skill set includes, but is not limited to: jewelry design, sculpting, modeling, graphic design, product development, embroidery design, and 3D/CAD design. Becca showcasing her Petite Treat “Confection Collection” on the runway in Boston, MA., 2015. NSNY:You started out designing under the name Petite Treat. You’ve recently changed to De La Becca with a whole new aesthetic. Walk us through your progression as a designer and your reasoning for such a change early in your career? DLB: I changed the name because I have so much more to offer than my Petite Treat Aesthetic. PT is adorable, but very limited! Pastel, Cutesty Ready-To-Wear Women’s Clothing and Dresses… I decided it wouldn’t be a cohesive brand if I started posting Couture and Avant-garde pieces that have a darker or serious nature to them. A brand that reflects me as a person has to encompass a wide range of influences and genres while projecting a sophisticated, professional, and simple air. “Petite Treat” doesn’t set the serious, professional tone I want to bring out in my collections, and I do not want to pigeonhole my creativity. Below you will find a link to the De La Becca Website. NSNY: We see you do haute couture and daywear. What inspires you to go in these different directions under De La Becca? DLB: I want to show the industry what I am capable of. There is no point in diving into a multifaceted industry with a one-dimensional skill set when my abilities reach so far beyond that, and I also enjoy the creative freedom I am able to indulge in with Avant-garde pieces. NSNY: What are some of your favorite types of pieces to create? Do you have one in particular that you absolutely love? DLB: I love doing custom, one-of-a-kind pieces for my clients. I love hearing their vision/ what they are looking for, but also how they want to feel while wearing my work. Making that vision a reality for my clients is probably the best part of producing custom pieces. NSNY: We see you work in jewelry design too. Do you have a preference in what type of materials you reach for? DLB: I do not limit myself to any particular materials because I enjoy trying new things and mastering different materials. Every chance to work with a new material is a chance to grow both creatively and practically. I do, however, try to be aware of how my materials are sourced, especially crystals and stones. Whether it is one necklace or one hundred, I make sure not to sacrifice ethically-sourced materials just to maintain a better bottom line. NSNY: Give us some background. Where did you study fashion design? Where has your career brought you? DLB: I initially studied and graduated from Lasell College with concentrations in Fashion Design and Product Development , and furthered my education at the London College of Fashion and the Paris American Academy. I worked at Paris Fashion Week, twice. I experienced London Fashion Week, have been published in print domestically and internationally, and released my own collection on Boston Runways before I turned 21. I am currently building my brand on social media while making commissioned and ready-made pieces, with an eye towards expanding into niche markets for each of my offerings. 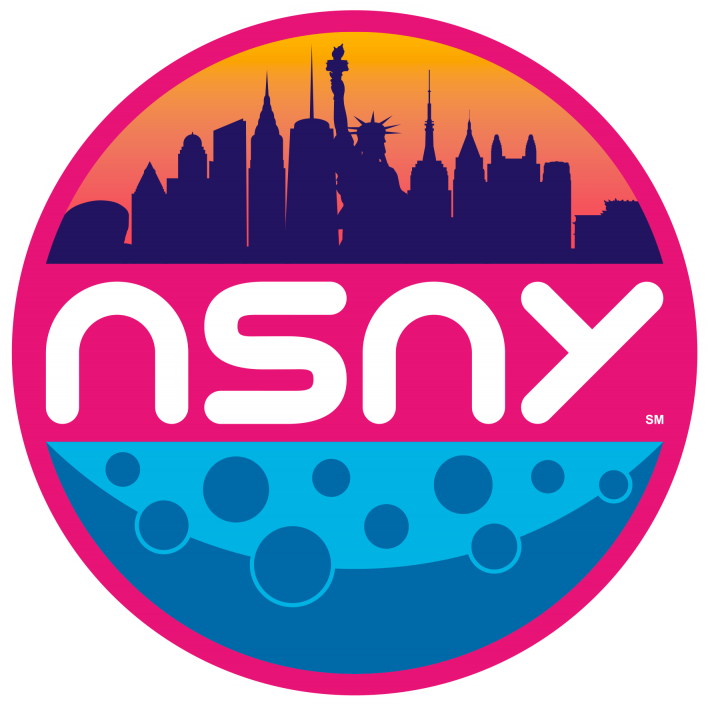 NSNY:We have seen your product development on your website. Do you often work in product development and planning in your own work, or do you start with an idea and just see where it goes? DLB: Yes, I often work in product development! I usually start with a mood board/target market that I want to go for, then I will analyze the market and try to pitch my designs to my customer. Then I will do sketches of looks that I want, and once I narrow down to about 15 individual “looks” I will make flats, patterns, and tech packs for each garment. For certain one-of-a-kind pieces this process is not always necessary. Other clients may just want a custom piece for an event or special occasion, and I will meet with them, discuss what they are looking for, and then make that piece individually for that client. NSNY: If you could give one piece of advice to a budding designer in your field, what would it be? DLB: Don’t get so caught up in the chase that you forget to drink water. Take care of YOU first, always. This industry is cutthroat, you are the only one in your corner. Be kind to others, but don’t be a doormat. Say “no” more often. Don’t compromise your opinion of yourself in an attempt to spare the feelings of another. It is not impossible to be honest and kind simultaneously. To see more of De La Becca, check out her website, facebook, and instagram.